Kara Swisher has a profile of Uber CEO Travis Kalanick in Vanity Fair. Here’s a crazy story we just learned reading it. When Uber, the startup that makes an app you can use to summon a taxi, first started in 2010, it was called UberCab. It lived on the Web at UberCab.com. In the fall of 2010, the San Francisco Municipal Transportation Agency and the California Public Utilities Commission told UberCab it couldn’t have “cab” in the name because it wasn’t a properly licensed taxi company. Suddenly, it needed to own Uber.com. The problem: Uber.com was owned by Universal Music Group. The solution: Uber gave UMG a 2% stake in exchange for the domain. Today, Uber is worth $US18.2 billion. 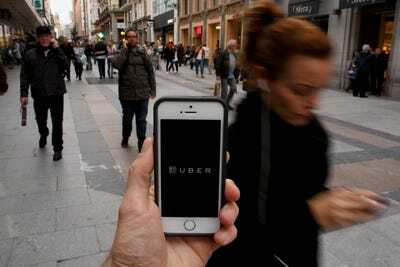 A 2% stake in Uber would be worth $US364 million. Sadly for UMG, it sold its 2% back to Uber for $US1 million just a couple years after the initial deal. For a little context: It would cost UMG just over $US200 million to buy Big Machine, Taylor Swift’s record label.